Anthony Ogus is a retired academic lawyer. 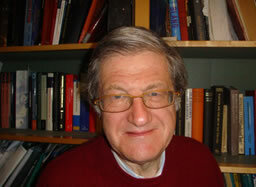 He was educated at St Dunstan’s College, London, and Magdalen College, Oxford and is now Emeritus Professor at the Universities of Manchester and Rotterdam. He has written books and articles on the law. In 2002 he was awarded the CBE and in 2007 elected a Fellow of the British Academy. Throughout his adult life, he has had a passionate interest in the arts. He has published reviews of concerts and opera performances and has written a book on his experiences of opera-going, Travels with My Opera Glasses. He gives talks on opera and music and is also an audio reader of English literature. He has a monthly column in the magazine Opera Now.